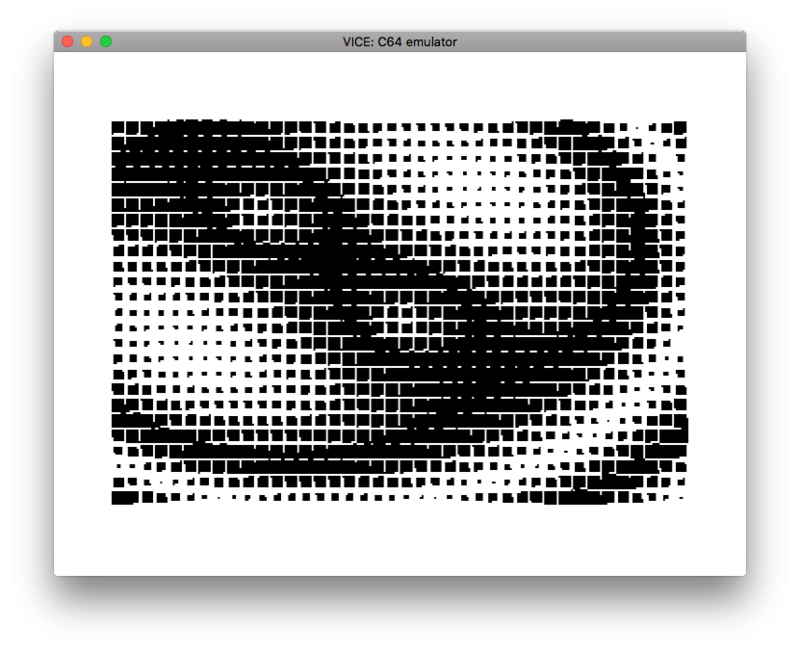 create_spiral_charset() creates a character set with a single dot in the middle of the 8x8 bits for a character. 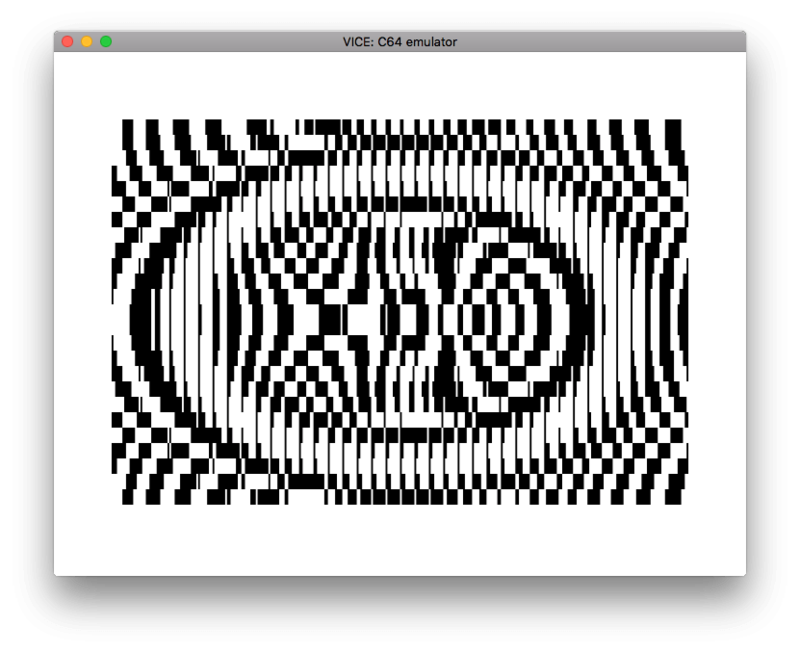 Each subsequent character has a pixel added in a spiral pattern. create_sideswipe_charset() creates a a full 8x8 block swiping through the character. Use the .rbyte directive to include the bytes for the screen state directly. ; Inrement every character on the screen. See the prg directory in this package for ready-to-run PRGs of this code.